There is simply no other book like this one. 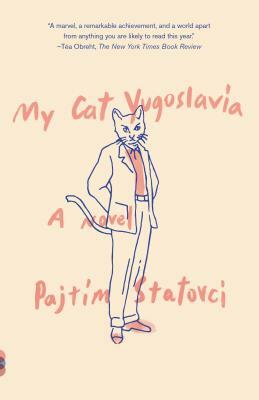 One of the most original ideas I’ve ever had the luck of finding, My Cat Yugoslavia is quite the powerful debut that tackles sexuality, immigration, and war in a truly remarkable and raw form. It features a two narrative story dealing with Emine, speaking from the past, who is trapped in an arranged marriage, and her son, speaking from the present, who keeps a large talking cat (of which he met at a gay bar) and boa constrictor as companions. Bonkers, right? Pajtim Statovci was born in 1990 and moved from Kosovo to Finland with his family when he was two years old. He holds an MA in comparative literature from the University of Helsinki. My Cat Yugoslavia is his first novel; it won the prestigious Helsingin Sanomat Literature Prize for a debut in the Finnish language.